Navaratri represents celebration of Goddess Durga.Navaratri means nine nights in Sanskrit, nava means "nine" and ratri means "nights". 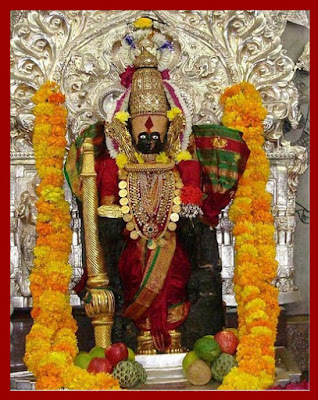 During these nine nights , nine forms of Devi are worshiped .The tenth day is celebrated as Vijaydashmi or Dusshera.Therefore its a ten days festival.All the states have their own way of celebrating this festival . The first three days of Navratri are dedicated to Goddess Durga( Godess of Power and Energy ) . Next three days are dedicated to Goddess Lakshmi (Goddess of Wealth and Prosperity).Last three are dedicated to Goddess Saraswati (Goddess Of Knowledge). Without good food any celebration is incomplete. Delicious traditional delicacies are being cooked at this time. Every day we offer different prasadams to Goddess.So here is a list of the prasadams I offered goddess during the last nine days. Click on the name for detailed recipes..